Enjoying parades, picnics and fireworks with family and friends . . . as we celebrate our Declaration of Independence, the revolutionary document that changed the course of human history. here is the actual text followed by historical details on the timeline, the drafting and the signers of our Declaration of Independence. Action of Second Continental Congress, July 4, 1776. The Revolutionary War begins with shots fired at Lexington and Concord in Massachusetts. Richard Henry Lee introduces a motion in a meeting of the Continental Congress that the United States is and should be declared free from ties to Great Britain. Delegates disagree about the wisdom of this idea, which comes to be called the “Lee Resolution.” Eventually, the Congress appoints a Committee of Five to draft a Declaration of Independence for consideration. John Adams convenes the Committee of Five to draft a Declaration of Independence. The five members of the committee are John Adams, Benjamin Franklin, Thomas Jefferson, Robert Livingston and Roger Sherman. The committee chooses Jefferson to write the first draft. The Continental Congress begins debating and editing the draft Declaration, eventually making 86 edits and cutting the length by about a fourth. The Continental Congress approves the final draft of the Declaration, formalizing what had already been decided on July 2. Congress hires printer John Dunlap to print copies of the Declaration to be distributed throughout the colonies. Dunlap delivers his 200 copies of the Declaration (which are now called “Dunlap Broadsides”). One copy is officially entered into the Congressional Journal and the other copies are distributed throughout the colonies. The Pennsylvania Evening Post becomes the first newspaper to reprint the whole Declaration, but news of the July 2 decision to declare independence has already been widely reported and various celebrations and discussions are already taking place throughout the colonies. The Declaration is read publicly to the people of Philadelphia. Around this time, Congress gets around to sending a copy of the Declaration to its emissary in Europe to be distributed to the various European governments. However, the original letter is lost and the Declaration isn’t formally delivered to Great Britain and the rest of Europe until November, when news of the Declaration had already reached Europe. New York finally approves the Declaration. It is the last of the 13 colonies to do so. Those delegates who had voted in favor of independence and who are in attendance that day sign the engrossed copy of the Declaration. Fifty delegates sign on this day. Six more will sign later. Delegates from each of the Thirteen Colonies met in Philadelphia in the summer of 1776 to decide the case for liberty. The goal was to convince the States that the time had come for the United Colonies to declare their independence from Mother England. It was an incredibly difficult time for the young United States. For more than a year, Great Britain and the Thirteen Colonies had been at war over the issue of “taxation without representation.” The Colonies believed that their rights were being impeded by the British, who were levying taxes upon them without their consent. The conflict had quickly escalated into more of an issue than just taxation, however, and many of the Colonies had started to think that they were capable of governing themselves. They were persuaded that Parliament wasn’t looking out for their interests, proven by the fact that despite their population the Colonies had not been allowed represent themselves in the British Legislature. As a result, the Second Continental Congress met in Philadelphia in June of 1776. 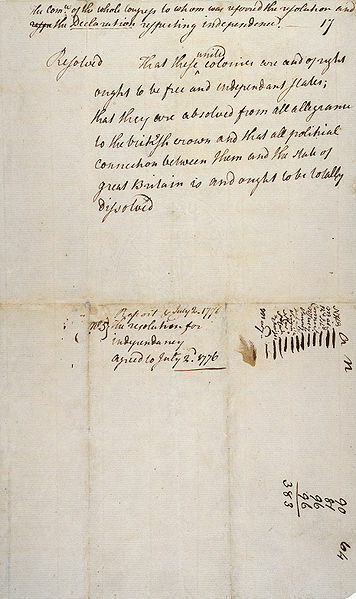 Slightly more than a month later, the Declaration of Independence was proposed to the States.John Hancock, the first signatory, was the only person to sign on July 4. Many of the other delegates would place their names on the completed Document on August 2 of that same year. The last person to sign, the New Hampshire delegate Matthew Thornton, endorsed the document on November 4, 1776. The Lee Resolution, also known as the resolution of independence, was an act of the Second Continental Congress declaring the Thirteen Colonies to be independent of the British Empire. Richard Henry Lee of Virginia first proposed it on June 7, 1776. 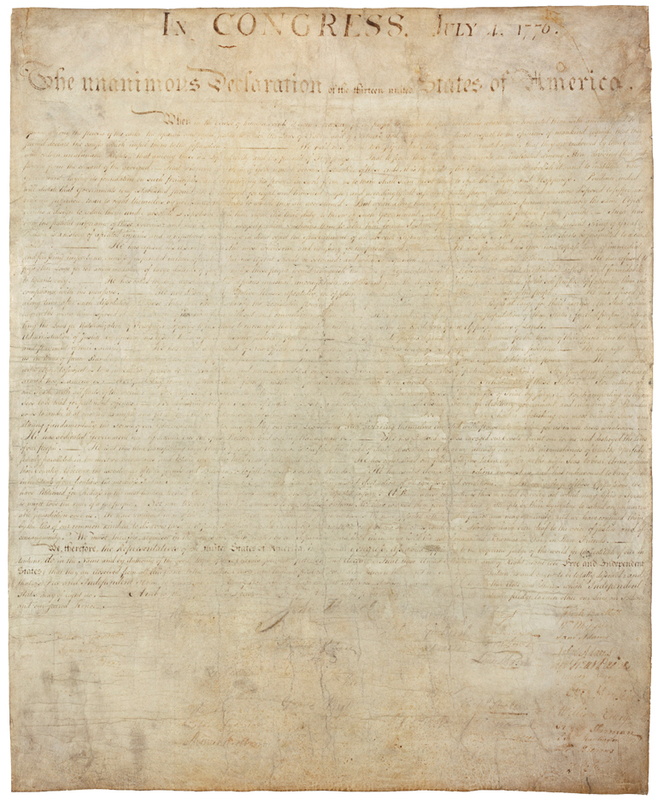 It is the earliest form and draft of the Declaration of Independence. Early in the development, many delegates weren’t yet allowed to vote for independence as the states had not yet authorized them to do so. In the meantime, a group of men were appointed to draft an official declaration, with hopes that the states would soon be willing to back the document when it was sent to the crown in England. On June 11, 1776, Congress appointed a “Committee of Five“, consisting of John Adams of Massachusetts, Benjamin Franklin of Pennsylvania, Thomas Jefferson of Virginia, Robert R. Livingston of New York, and Roger Sherman of Connecticut, to draft a declaration. This Declaration committee operated from June 11,1776 until July 5, 1776, the day on which the Declaration was published. 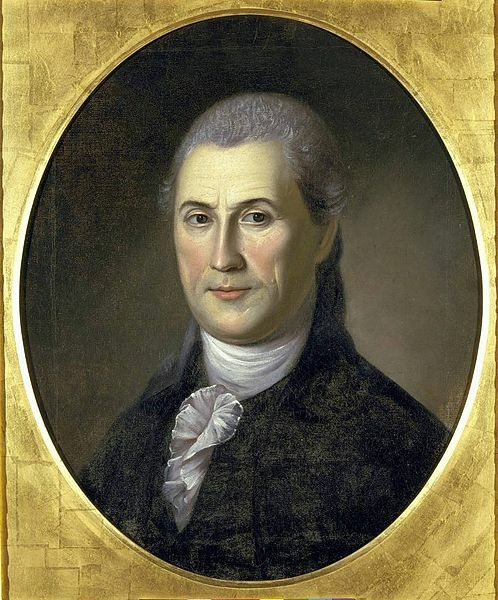 Originally, the delegates pushed for Richard Henry Lee, author of the Lee Resolution, to write the Declaration of Independence, not Jefferson. However, circumstances changed the course of history. First, Lee was appointed to the Committee of Confederationfor the writing of the Articles of Confederation, and thought that being part of both committees would be too great an effort. Second, his wife became gravely ill during the Philadelphia convention, forcing him to return home prematurely. And so, it was settled. Over the course of seventeen days, in between meetings and other governmental affairs, Jefferson penned the Declaration of Independence under the advisement of the Committee. It was an act that secured Jefferson’s name in history forever. All of the colonies were represented in Philadelphia to consider the delicate case for independence and to change the course of the war. In all, there were fifty-six representatives from the thirteen colonies. Fourteen represented the New England Colonies, twenty-one represented the Middle Colonies and twenty-one represented the Southern Colonies. The largest number (9) came from Pennsylvania. Most of the signers were American born although eight were foreign born. The ages of the signers ranged from 26 (Edward Rutledge) to 70 (Benjamin Franklin), but the majority of the signers were in their thirties or forties. More than half of the signers were lawyers and the others were planters, merchants and shippers. Together they mutually pledged “to each other our Lives, our Fortunes and our sacred Honor.” They were mostly men of means who had much to lose if the war was lost. None of the signers died at the hands of the British, and one-third served as militia officers during the war. Four of the signers were taken captive during the war and nearly all of them were poorer at the end of the war than at the beginning. No matter what each of these men did after July 1776, the actual signing of the Declaration of Independence which began on August 2 ensured them instant immortality. The following gives a bit of information about each signer AFTER the signing of the Declaration of Independence. Samuel Huntington (1731-1796)—Samuel Huntington was a self-made man who distinguished himself in government on the state and national levels. He was the President of Congress from 1779-1781 and presided over the adoption of the Articles of Confederation in 1781. 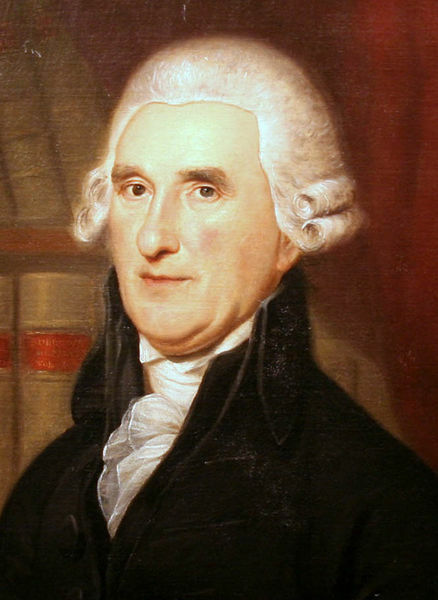 He returned to Connecticut and was the Chief Justice of the Superior Court in 1784, Lieutenant Governor in 1785 and Governor from 1786-1796. He was one of the first seven presidential electors from Connecticut. 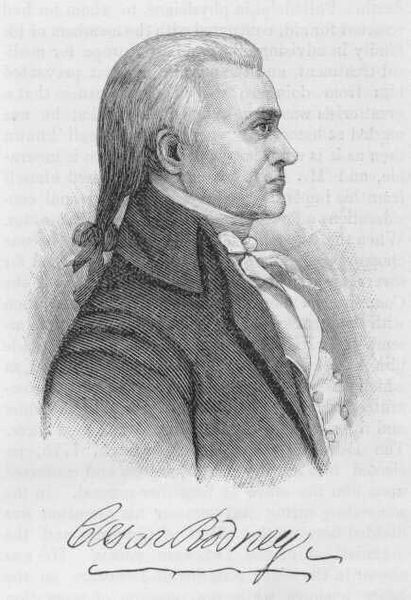 Roger Sherman (1723-1793)—Roger Sherman was a member of the Committee of Five that was chosen to write the Declaration of Independence. He and Robert Morris were the only individuals to sign the Declaration of Independence, the Articles of Confederation and the Constitution. 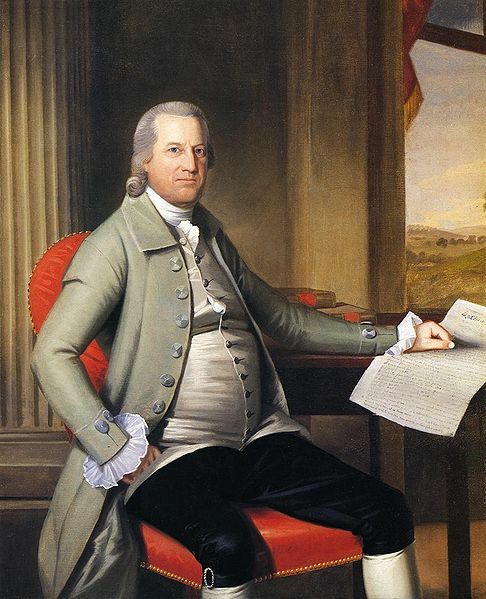 He was the Judge of the Superior Court of Connecticut from 1766-1789, a member of the Continental Congress from 1774-81; 1783-84 and a delegate to the Constitutional Convention in 1787. 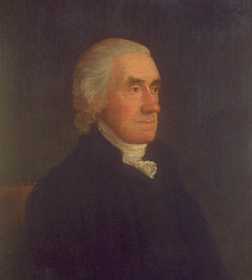 Sherman proposed the famed “Connecticut Compromise” at the convention and represented Connecticut in the United States Senate from 1791-93. William Williams (1731-1811)—William Williams was a graduate of Harvard, studied theology with his father and eventually became a successful merchant. He fought in the French-Indian War and returned to Lebanon, Connecticut where he served for forty-four years as the town clerk. He was elected to the Continental Congress from 1776-1777, and after signing the Declaration of Independence, Williams was a member of the committee that was instrumental in framing the Articles of Confederation. He was a delegate to vote on the ratification of the Federal Constitution and also served as a Judge of the Windham County Courthouse. Oliver Wolcott (1726-1797)—Oliver Wolcott was as much a soldier as he was a politician and served as a brigadier general in the New York campaigns from 1776-1777. As a major general, he was involved in defending the Connecticut coast from attacks by the Royal Governor of New York. 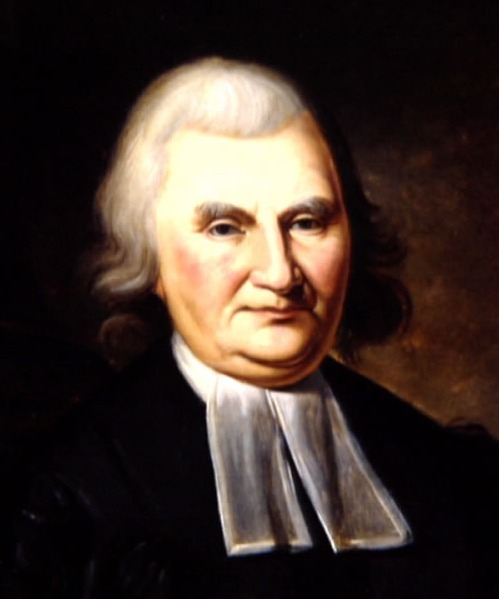 He was Commissioner of Indian Affairs in 1775 and from 1784-89, a delegate to the Continental Congress from 1775-76 and 1778-84, Lieutenant Governor of Connecticut from 1786-96 and Governor from 1796-97. 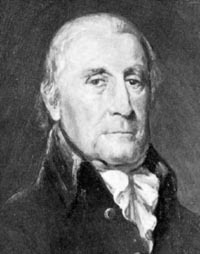 Thomas McKean (1734-1817)—Thomas McKean was the last member of the Second Continental Congress to sign the Declaration of Independence. He was a delegate to the Continental Congress from 1774-81 and served as a delegate to the Congress of the Confederation from 1781-1783. After 1783, McKean became involved in the politics of Pennsylvania becoming Chief Justice of Pennsylvania and the Governor of Pennsylvania from 1799-1812. He retired from politics in 1812 and died at the age of 83 in 1817. 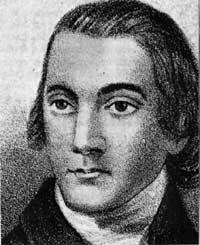 George Read (1733-1798)—George Read was the only signer of the Declaration of Independence who voted against the proposal for independence introduced by Richard Henry Lee of Virginia. He was elected to the Continental Congress from 1774-1776, was a member of the Delaware Constitutional Convention in 1776, acting Governor of Delaware in 1777, a Judge on the Court of Appeals in 1780, State Senator from 1791-92, a United States Senator from 1789-1793 and Chief Justice of the State of Delaware from 1793-98. Caesar Rodney (1728- 1784)—Caesar Rodney took a strong stand in favor of independence and because of that, was not reelected to Congress because of the conservatives in the state of Delaware. They also blocked his election to the state legislature and his appointment to the state’s constitutional convention. He was interested in military affairs and was involved in action in Delaware and New Jersey during the Revolutionary War. He was reelected to Congress in 1777 and was nominated as state president from 1778-1781. He died in 1784 while serving as Speaker of the Upper House of the Delaware Assembly. 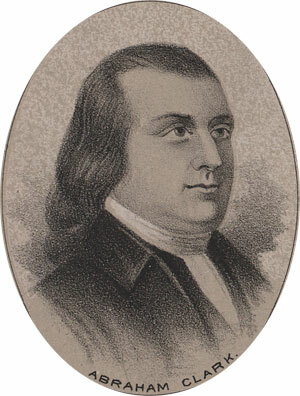 Button Gwinnett (1735-1777)—After the Governor died in 1777, Button Gwinnett served as the Acting Governor of Georgia for two months, but did not achieve reelection. His life was one of economic and political disappointment. 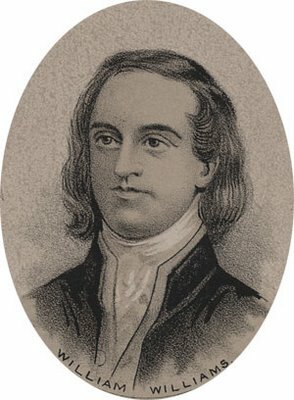 Button Gwinnett was the second signer of the Declaration to die as the result of a duel outside Savannah, Georgia. 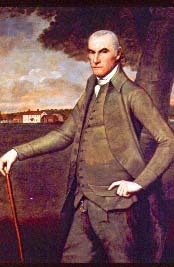 Lyman Hall (1724-1790)—Lyman Hall was one of four signers trained as a minister and was a graduate of Princeton College. During his life he also served as a doctor, governor and planter. During the Revolutionary War, his property was destroyed and he was accused of treason. He left Georgia and spent time in South Carolina and Connecticut to escape prosecution. When the war was over, he went back to Georgia and began to practice medicine. 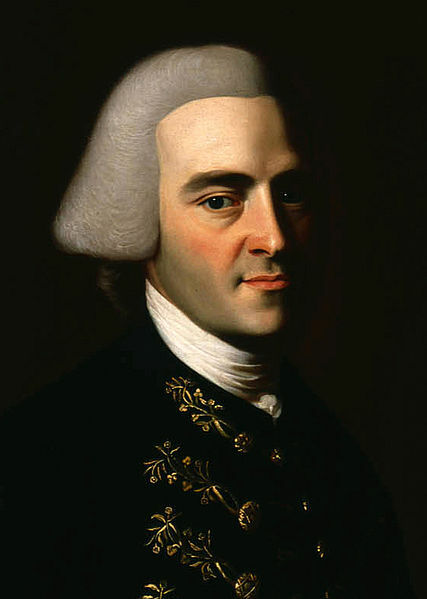 He served as Governor of Georgia from 1783-1784. George Walton (1741-1804)—George Walton was elected to the Continental Congress in 1776, 1777, 1780 and 1781, Colonel of the First Georgia Militia, in 1778, Governor of Georgia from 1779-1780, Chief Justice of the State Superior Court of Georgia from 1783-89, a presidential elector in 1789, Governor of Georgia from 1789-1790 and a United States Senator from 1795-1796. During the Revolutionary War, Walton was captured by the British in 1778 during the attack on Savannah and released within the year. He was the founder of the Richmond Academy and Franklin College which later became the University of Georgia. 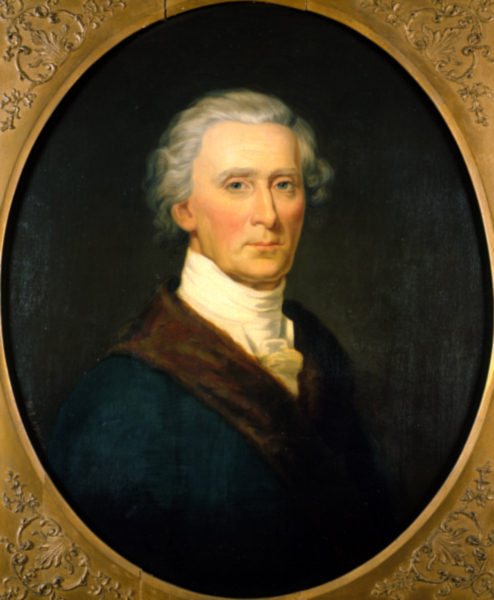 Charles Carroll (1737-1832)—Charles Carroll was one of the wealthiest men in America and was the oldest and longest surviving signer of the Declaration. From 1789-1792 he served as one of Maryland’s two United States Senators. He retired from politics in 1804 and spent the rest of his life managing his 80,000 acres of land in Maryland, Pennsylvania and New York. 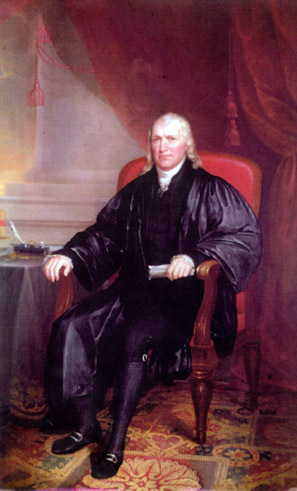 Samuel Chase (1741-1811)—Samuel Chase was called the “Demosthenes of Maryland” for his oratorical skills. In 1785 he represented Maryland at the Mt. Vernon conference to settle a dispute between Maryland and Virginia concerning navigation rights on the Potomac River. He served as an Associate Justice of the United States Supreme Court from 1796-1811. He was the only Supreme Court justice to be impeached in 1805. He was charged with discriminating against supporters of Thomas Jefferson, and he was found to be not guilty. 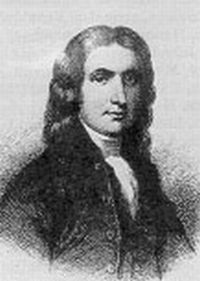 William Paca (1740-1799)—William Paca was elected to the Continental Congress from 1774-78, appointed Chief Justice of Maryland in 1778, Governor of Maryland from 1782-1785 and Federal District Judge for the State of Maryland from 1789-99. He was also a planter and a lawyer, but was a relatively minor figure in national affairs. 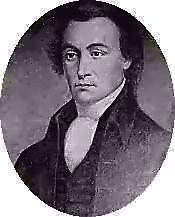 William Paca also served as a delegate to the Maryland ratification convention for the Federal Constitution. 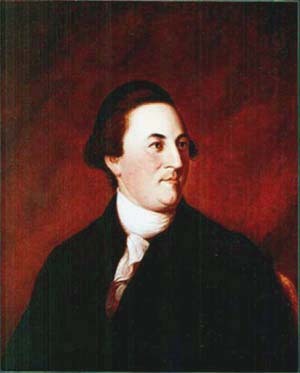 Thomas Stone (1743-1787)—Thomas Stone was one of the most conservative of the signers along with Carter Braxton of Virginia, George Read of Delaware and Edward Rutledge of South Carolina. He was elected to the Congress from 1775-78 and again in 1783. He was chosen to be a delegate to the Constitutional Convention in Philadelphia in 1787 but had to decline because of the poor health of his wife. Shortly after she died in 1787, a grief stricken Stone died a few months later before making a trip to England. 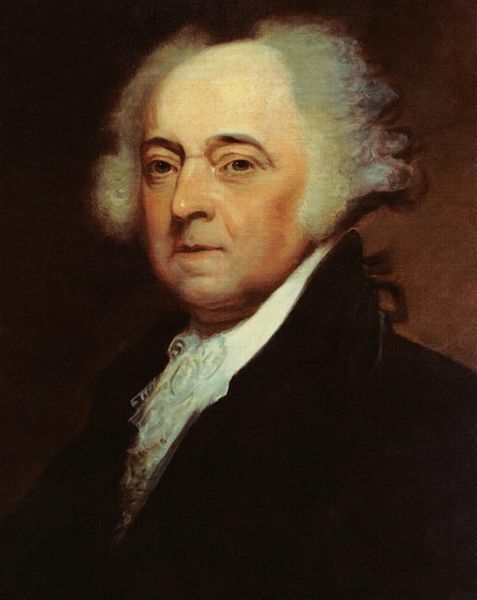 John Adams (1735-1826)—John Adams was the first Vice-President of the United States and the second President. He was a member (along with Thomas Jefferson, Benjamin Franklin, Robert Livingston and Roger Sherman) chosen to draft the Declaration of Independence. He was the first President to attend Harvard University and the first to have a son become president. 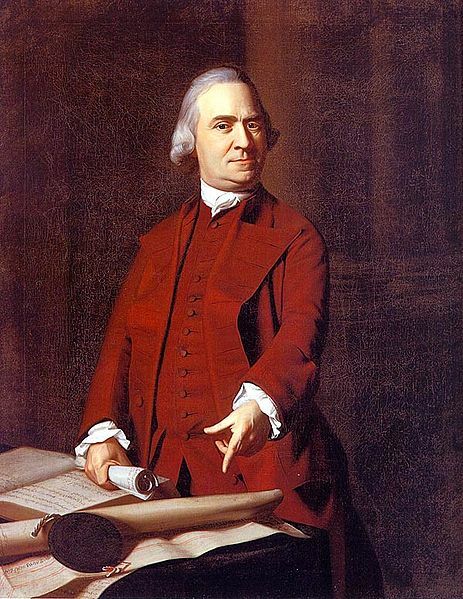 Samuel Adams (1722-1803)—Samuel Adams was known as the “Firebrand of the Revolution” for his role as an agitator between the colonists and the British prior to the outbreak of hostilities on April 1775. He served in the Continental Congress until 1781 and was a member of the Massachusetts State Senate from 1781-1788. Because he was opposed to a stronger national government, Adams refused to attend the Constitutional Convention in 1787. He served as Lieutenant Governor of Massachusetts from 1789-1793 and Governor from 1794-1797. 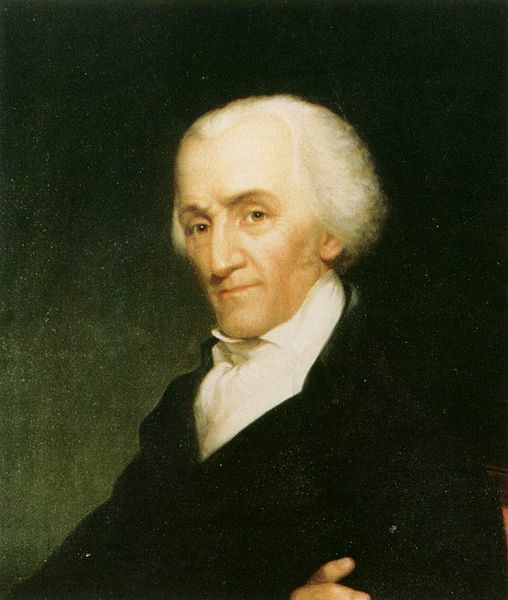 Elbridge Gerry (1744-1814)—Elbridge Gerry served for a time as a member of the state legislature of Massachusetts. Although he attended the meetings in Philadelphia to write a new Constitution, at the end he was opposed to it because it lacked a bill of rights. However, after a “change of heart,” he was a member of the House of Representatives for the first two Congresses from 1789-1793. He was Governor of Massachusetts in 1810 and 1811 and died in office as Vice-President under James Madison in 1814. 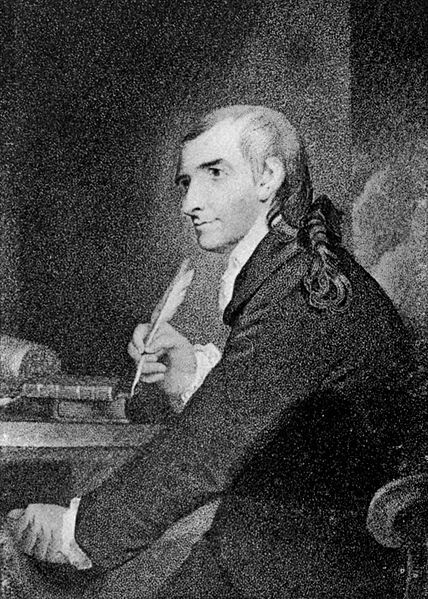 John Hancock (1737-1793)—John Hancock was the President of the Second Continental Congress when the Declaration of Independence was adopted. He, along with Samuel Adams, were the two most wanted men in the colonies by King George III. He served as a major general during the Revolutionary War. He was elected Governor of Massachusetts from 1780-1785 and 1787 until his death in 1793. 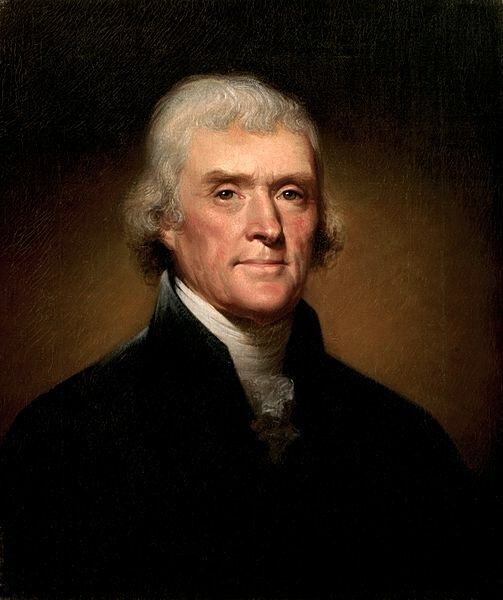 He was the seventh President of the United States in Congress assembled, from November 23, 1785 to June 6, 1786. 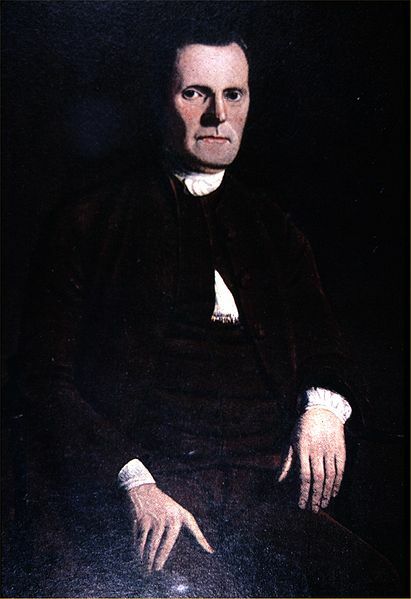 John Hancock was one of the original “fathers” of U.S. independence. 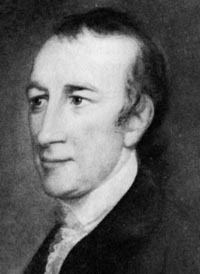 Robert Treat Paine (1731-1814)—Robert Treat Paine was elected to the Continental Congress, in 1774 and 1776, Attorney General for Massachusetts from 1777-1796, Judge, Supreme Court of Massachusetts from 1796-1804 and State Counselor in 1804. During his time in Congress, Paine concentrated primarily on military and Indian concerns. 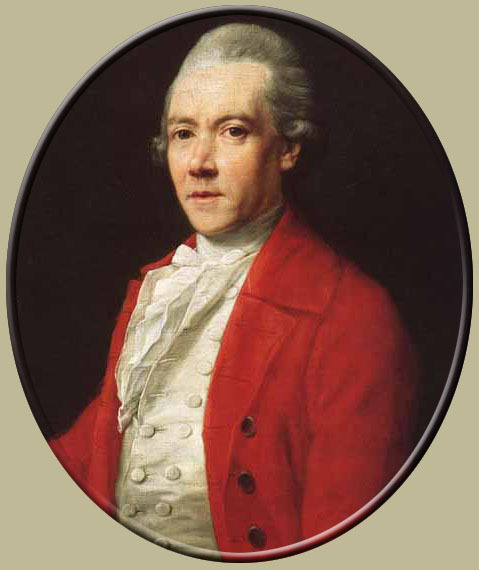 Because of his opposition to many proposals, he was known as the “Objection Maker.” Paine was one of the original founders of the American Academy of Arts and Sciences. Josiah Bartlett (1729-1795)—Josiah Bartlett served in Congress until 1779 and then refused reelection because of fatigue. On the state level he served as the first Chief Justice of the Common Pleas (1779-1782), Associate (1782-1788) and Chief justice of the Superior Court (1788-1790). Bartlett founded the New Hampshire Medical Society in 1791 and was the Governor of New Hampshire (1793-1794). Matthew Thornton (1714-1803)—Matthew Thornton served as Speaker of the New Hampshire House of Representatives, was an Associate Justice of the Superior Court and was elected to the Continental Congress in 1776. He was one of six members who signed the Declaration of Independence after it was adopted by the Continental Congress. He left Congress to return to New Hampshire to become an Associate Justice of the State Superior Court. He spent his remaining years farming and operating a ferry on the Merrimack River. William Whipple (1730-1785)—William Whipple was a former sea captain who commanded troops during the Revolutionary War and was a member of the Continental Congress from 1776-1779. 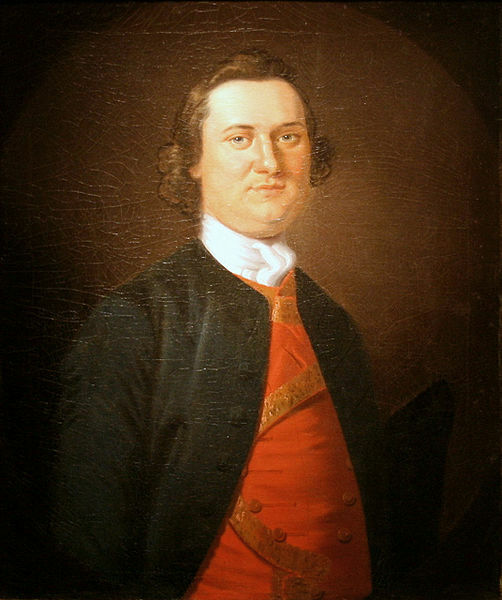 General Whipple was involved in the successful defeat of General John Burgoyne at the Battle of Saratoga in 1777. He was a state legislator in New Hampshire from 1780-1784, Associate Justice of the New Hampshire Superior Court from 1782-1785, and a receiver for finances for the Congress of the Confederation. He suffered from heart problems and died while traveling his court circuit in 1785. Abraham Clark (1726-1794)—Abraham Clark was a farmer, surveyor and politician who spent most of his life in public service. He was a member of the New Jersey state legislature, represented his state at the Annapolis Convention in 1786, and was opposed to the Constitution until it incorporated a bill of rights. He served in the United States Congress for two terms from 1791 until his death in 1794. 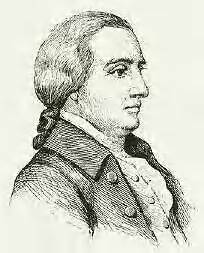 John Hart (1711-1779)—John Hart became the Speaker of the Lower House of the New Jersey state legislature. His property was destroyed by the British during the course of the Revolutionary War, and his wife died three months after the adoption of the Declaration of Independence. During the ravaging of his home, Hart spent time in the Sourland Mountains in exile. Francis Hopkinson (1737-1791)—Francis Hopkinson was a judge and lawyer by profession but also was a musician, poet and artist. When the Revolutionary War was over, he became one of the most respected writers in the country. He was later appointed Judge to the U.S. Court for the District of Pennsylvania in 1790. 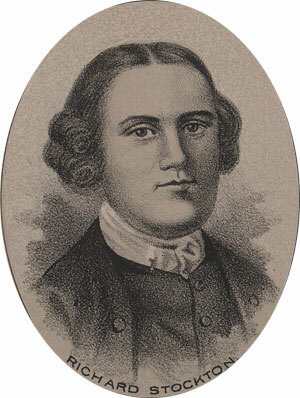 Richard Stockton (1730-1781)—Richard Stockton was trained to be a lawyer and graduated from the College of New Jersey. He was elected to the Continental Congress in 1776 and was the first of the New Jersey delegation to sign the Declaration of Independence. In November 1776 he was captured by the British and was eventually released in 1777 in very poor physical condition. His home at Morven was destroyed by the British during the war and he died in 1781 at the age of 50. William Floyd (1734-1821)—William Floyd had his estate in New York destroyed by the British and Loyalists during the Revolutionary War. He was a member of the United States Congress from 1789-1791 and was a presidential elector from New York four times. He was later a major general in the New York militia and served as a state senator. Francis Lewis (1713-1802)—Francis Lewis was one who truly felt the tragedy of the Revolutionary War. His wife died as an indirect result of being imprisoned by the British, and he lost all of his property on Long Island, New York during the war. When his wife died, Lewis left Congress and completely abandoned politics. Philip Livingston (1716-1778)—Philip Livingston was not in Philadelphia to vote on the resolution for Independence, but did sign the actual Declaration of Independence on August 2, 1776. During the Revolutionary War, the British used Livingston’s houses in New York as a navy hospital and a barracks for the troops. 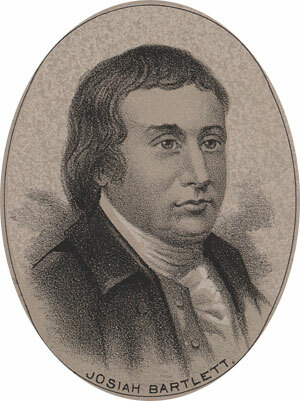 He was the third signer to die after John Morton of Pennsylvania and Button Gwinnett of Georgia.